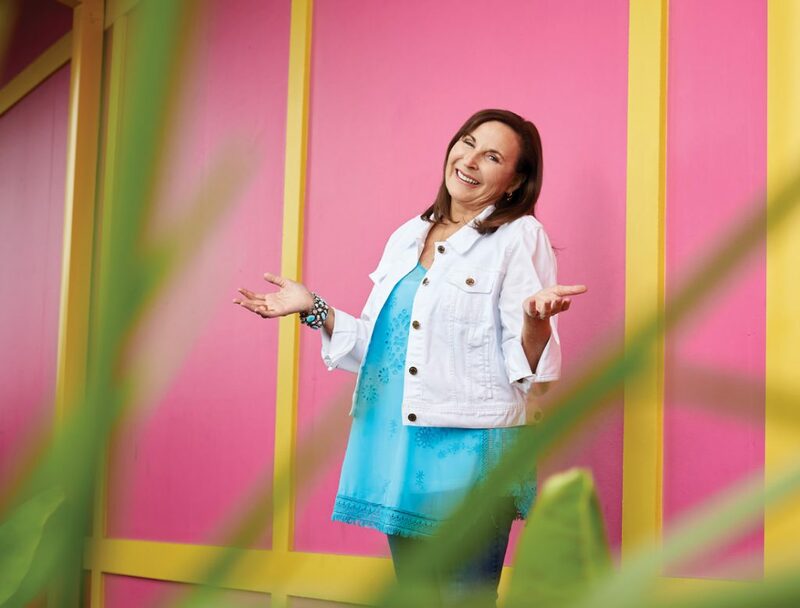 Jimmy Buffett’s kid sister sits atop a growing culinary empire, one she didn’t begin to build until she was forty-six. But Lucy Buffett doesn’t want you to visit her restaurants in Alabama, Florida, and South Carolina because you know all the words to “Margaritaville.” She doesn’t expect you to pick up her cookbooks because you read about her in People or because she has a famous last name. If two decades as a restaurateur have taught her anything, it’s that she has to earn each and every patron. And if the winding road of her life has taught her anything else, it’s that she is always capable of rising to meet a challenge. 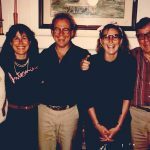 The Buffett children spent summers with their grandparents, and that’s where Lucy learned that cooking could be both a calling and a language of love. Her paternal grandmother, who was raised in a boardinghouse before she married a shipping captain, spent most of her waking hours in the kitchen of their Pascagoula, Mississippi, home. On Fridays, she simmered enough seafood gumbo to last the weekend; Sundays, her kitchen table was crammed with plates of fried chicken, mashed potatoes, rice and gravy, green beans, and at least three kinds of desserts. Jimmy might have been the son of a son of a sailor, but Lucy was the daughter of the son of a cook. Life in those days had its ups and downs. Lucy’s parents worked long hours to pay for their children’s Catholic educations. They did their best, but they were often tired. And it fell to Jimmy and Laurie to take their baby sister to and fro—Jimmy more so than Laurie, as he and Lucy didn’t squabble. But by the time Lucy was thirteen, only she was still living under her parents’ roof. There was no one to keep an eye on her. “Oh, Mama,” Lucy says, looking up at the ceiling. “I became pretty wild and rebellious. I think I wanted attention.” She stayed out late, drank things, tried things. Got suspended for skipping school. And then, at seventeen, she became pregnant. She had already been accepted at Auburn University, but she wasn’t allowed to finish her senior year at her Catholic high school. Neither was her boyfriend, who had been captain of the football team. The two of them altered her birth date on her driver’s license so she’d appear to be eighteen, drove across the state line to a notoriously permissive courthouse in Bainbridge, Georgia, and wed. Weeks later, Peets Buffett had her daughter’s marriage blessed by the archbishop. Lucy’s daughter Mara was born in July 1971. Ten and a half months later, another daughter, Melanie, arrived. 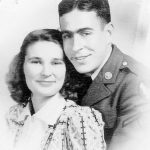 Lucy was an eighteen-year-old wife and mother of two trying to keep house while her husband worked at the same shipyard as her parents. She wanted to do as her grandmother had done and prepare elaborate meals for her family; problem was, she’d never been taught how. So she cracked open the Mobile Junior League cookbook, Jubilee!, and decided to make the first thing that caught her eye: chocolate pound cake. “’Cause that’s practical,” she laughs. But you know what? It was really good. “I found I loved the instant gratification of creating something,” Lucy says. Thus began Lucy’s adventures in gastronomy, which accompanied her through the many twists and turns to come. 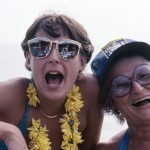 “Every passage of my life,” Lucy writes in her second cookbook, Gumbo Love, “has been marked by food.” Indeed, after her divorce in 1974, Lucy and her daughters traveled south to Key West, where Jimmy—by then a popular musician—introduced them to gourmet fare at places like Le Mistral. Her food explorations took a sharp turn when she and her girls relocated to New Orleans in the late seventies and became, in her words, “upwardly mobile yuppies.” Lucy married a man who liked to entertain, and together they threw big parties where people gushed about Lucy’s gumbo (recipe here). But despite the accolades, Lucy was restless and, at times, depressed. She could never quite settle into her life, couldn’t find her place. 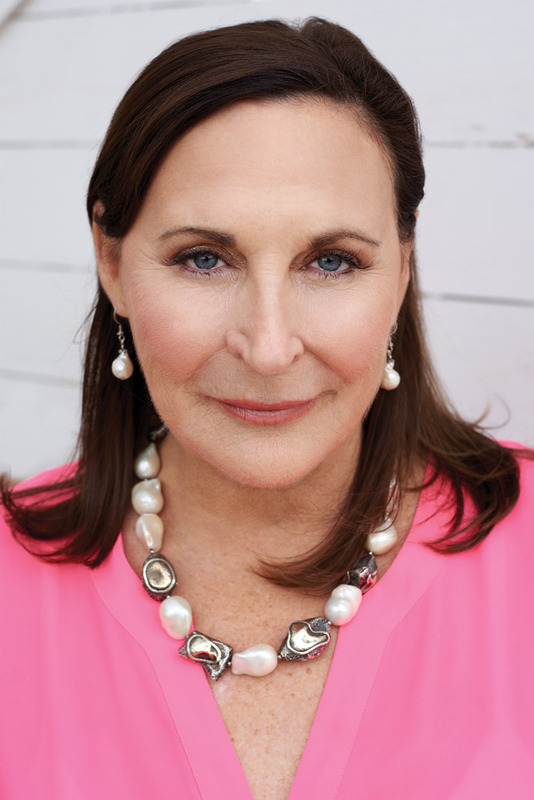 When her second marriage ended in the early eighties, she decided to see a therapist. “I knew I needed to look inside instead of blaming other people,” she says. She began a daily meditation practice. She started a gratitude journal. She spent more time in the kitchen, cooking her way through the pain. In 1986, after three years of soul searching, she got a call from Jimmy. His buddy Harrison Ford was shooting The Mosquito Coast in Belize for three weeks and living on a fantail motor yacht called Mariner III. The A-list star and his wife loved all the crewmembers—except the chef. “Jimmy said he’d told them about me and my cooking. Would I want to stay on their yacht and cook for them?” Lucy recalls. It wasn’t a tough question. 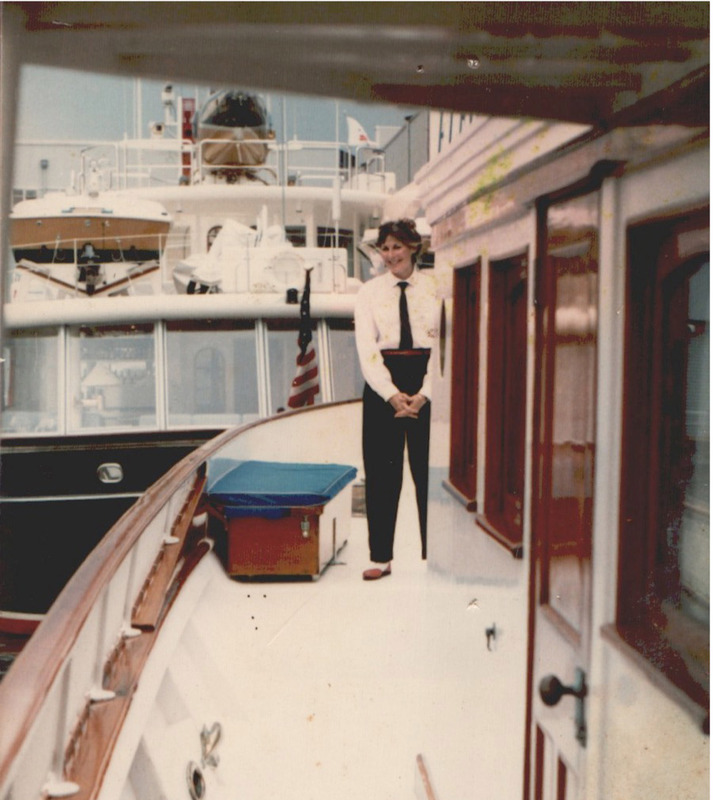 Lucy wowed Ford, and the owners of the Mariner III quickly hired her to cook for the corporate clients who chartered their boat. Lucy spent most of the ensuing two years working on the yacht, honing her skills and listening to celebrities talk about a land of endless possibilities called Los Angeles. When she was at last ready to disembark from boat life, she thought she might like to move to L.A. herself. In 1989, she did. 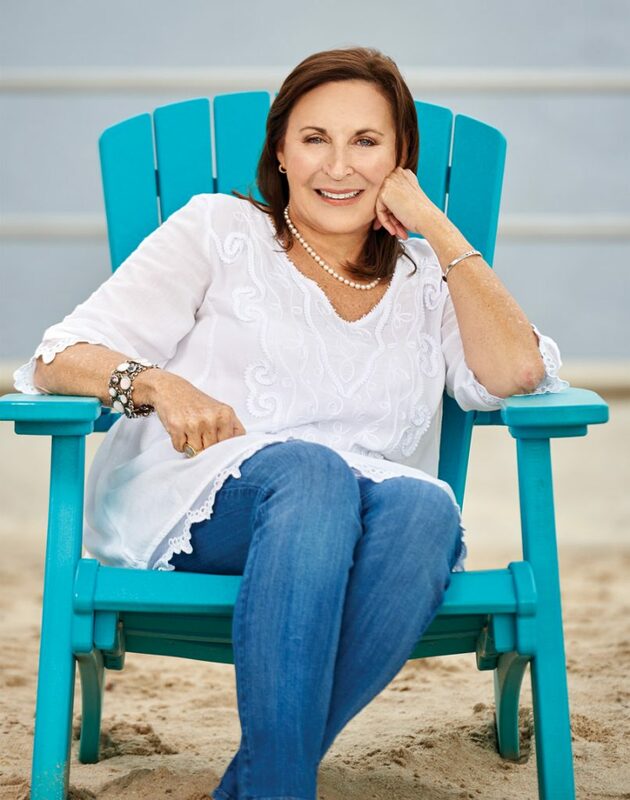 Lucy might have stayed in L.A. forever, or zipped over to the Caribbean to cook on a yacht, or done whatever her free-spirited heart told her to do next, but in 1998, she got a call that changed her life. Her mother had suffered a stroke, and her father, who had Alzheimer’s, was unable to care for her. Within weeks, Lucy had moved back to Alabama. Forty-five, with grown daughters and a zigzag resume, she had no idea what lay ahead. She just knew it was time to go home. 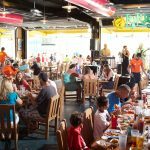 Lulu’s flagship location in Gulf Shores, Alabama, seats 450 people. Occupying twenty acres along the Intracoastal Waterway, the seven-building compound is painted aquamarine, canary yellow, and bubblegum pink. 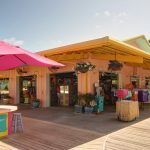 There’s a sprawling beach with volleyball nets, pails, and shovels; a three-story ropes course; face painting and hair braiding stations; a large arcade; and a stage where bands play live music nightly. Patrons often wait two hours for a table, where they order crabmeat nachos or a bowl of Lucy’s gumbo. 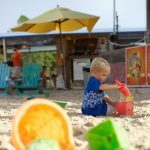 Kids play with toys at LuLu’s Gulf Shores. Live music is a nightly event at LuLu’s Gulf Shores. Perhaps that’s because when she opened the restaurant’s first incarnation in 1999, her goal was simply to survive. Lucy had convinced Jimmy and one of his business partners to invest a combined $50,000 to help her open LuLu’s Sunset Grille on Weeks Bay, a popular fishing spot near Fairhope, Alabama. In return, the two men would receive twenty percent of the restaurant’s profits—should it make any. Part bait shop, part burger shack, LuLu’s had six tables and one bathroom. Lucy was the hostess, server, cook, dishwasher, janitor, and office manager. Using a hand-me-down cast iron skillet to make a roux, she’d whip up five-gallon batches of the gumbo that eventually became her signature. Over the next few years, word of Jimmy Buffett’s kid sister’s cooking began to spread. “We developed a really loyal following,” Lucy says. She added tables to accommodate more guests and brought in a truckload of sand so kids could play while their parents relaxed. She inched closer and closer to being in the black. Gulf red snapper sandwich at LuLu’s. She leaned on the inner strength she’d worked so hard to hone, as well as her boyfriend Mac McAleer, a retired Krispy Kreme executive. The two had met when he had dinner at LuLu’s, and he spent months convincing her to break away from the restaurant long enough to go on a date with him. (“He was very persistent,” Lucy says with a smile.) Mac loved her wild-child energy, and he also saw the potential of the business she was building. When Lucy’s lease on Weeks Bay expired in 2003, it was Mac who convinced her to open a location in Gulf Shores instead. A much, much larger location. On opening day of the new location—Fat Tuesday 2004—more than 1,000 people lined up at the door. There was just one problem: The new chef Lucy had hired to take over the daily cooking didn’t show. 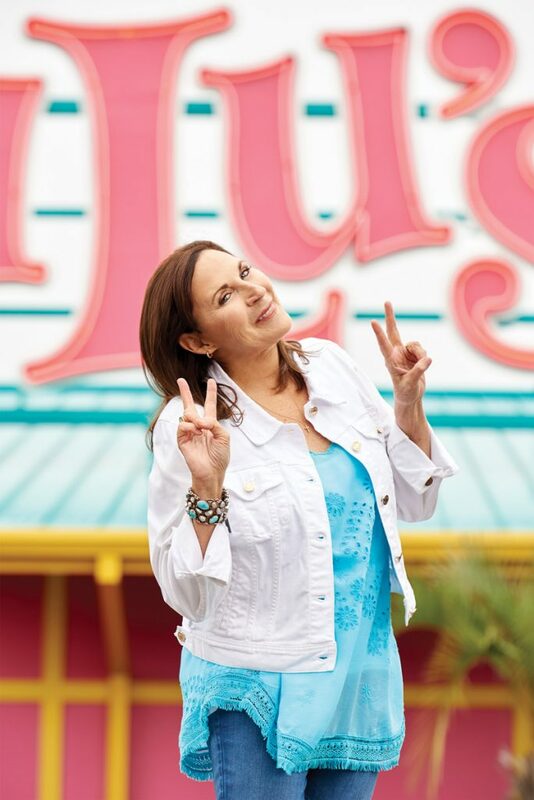 The Gulf Shores location was a runaway hit, earning write-ups in People and Coastal Living and spawning Lucy’s first cookbook, Crazy Sista Cooking. But LuLu’s Cinderella story wasn’t without its stroke-of-midnight moments. In 2010, the BP oil spill sent the restaurant’s profits spiraling six figures. (Sales rebounded the following year.) 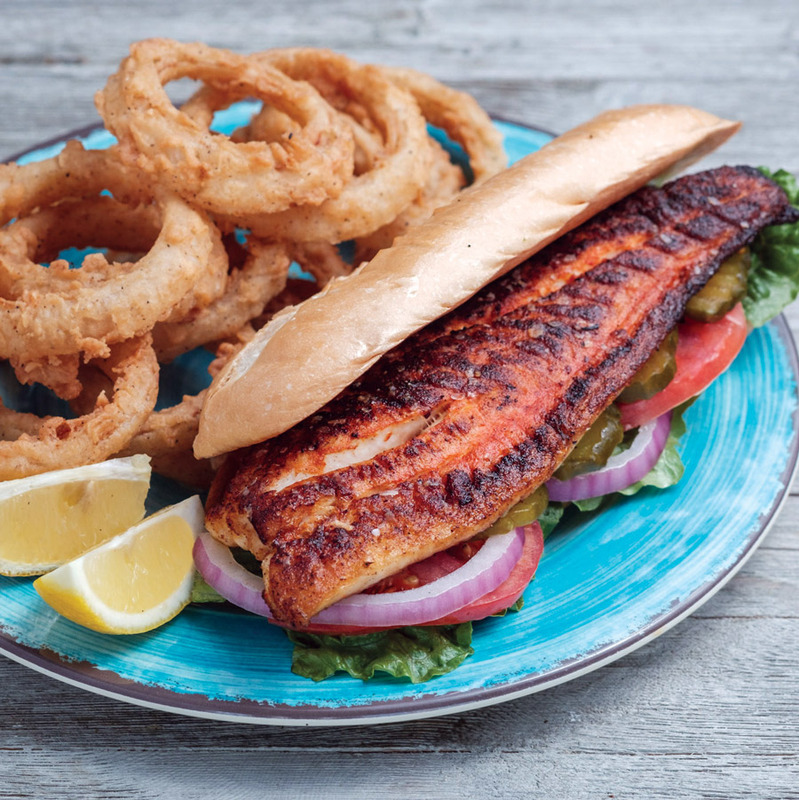 LuLu’s spinoff Gulf Shores eatery, Lucy B Goode, went under after two years. And the restaurant’s locations in Destin and North Myrtle Beach, while both seeing steady increases, didn’t bolt out of the gate like the one in Gulf Shores. She doesn’t drink anymore. She quit ten years ago, when she says she realized she might lose everything it had taken her a lifetime to build. She went to rehab, where her vocation and name association quickly landed her the superlative “Least Likely to Succeed at Sobriety.” But a decade later, she’s still on the wagon. 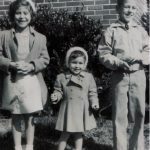 She’s figured out a few tools that help tame what she calls her “monkey brain.” One is visiting the people she loves, most especially her twin eight-year-old grandchildren in Fairhope. She paints when she can. She journals a lot. She also keeps a running gratitude list—even for the hard stuff. This article appears in the Spring/Summer 2019 issue of Southbound.